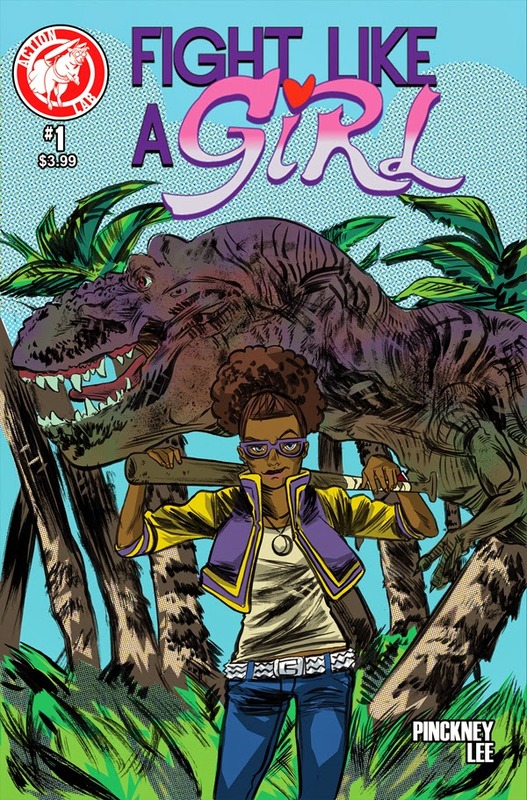 The Fellowship was fortunate enough to obtain a copy of FIGHT LIKE A GIRL #1 from Action Lab Entertainment. The story is by David Pinckney, with art by Soo Lee. No other credit is given. A young woman named Amarosa must plead her case to a Pantheon of Gods for an opportunity to battle her way to the Wishing Well. After a little debate, the gods grant her request. Amarosa must survive her nine trials to grant her wish…to save her ill brother, the only family she has. But can she even survive the first battle; much less make it through the other eight? It won’t be easy. In Amarosa, David Pinckney has created a character that has incredible strength, heart and courage; you can’t help but root for her. Amarosa knows what she has to do to get the task completed; but not without some cost (emotional and physical). She is a hero in the true sense of the word. Soo Lee provides some striking visuals to supplement this intriguing story. This issue is definitely worth checking out. FIGHT LIKE A GIRL #1 is in stores now, or available for ordering at www.actionlabcomics.com.